Pre-register for a special limited edition Black Widow card. DeNA and Marvel finally revealed the official release date for the sweet-looking iOS and Android card-battle game, Marvel: War of Heroes. Set to debut on both platforms free-of-charge, players can expect to download this highly anticipated title October 11. With a brand-new story written with cooperation from Marvel, the game casts the player as a S.H.I.E.L.D. 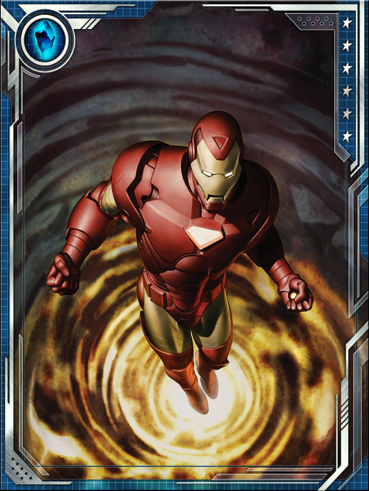 agent, charged with assembling a deck of iconic superheroes like Captain America, Spider-Man, The Hulk, Thor and Iron Man to combat evil, with the concept of fusing cards to create a stronger team. If you happen to be in NYC and plan on attending Comic Con October 11 through October 14, you can go hands-on with this title (booth #1838). The game will also appear during the Marvel Games panel on Saturday, October 13th. For now, you can pre-register here for an exclusive Black Widow card. We strongly suggest doing so. This game should be huge.